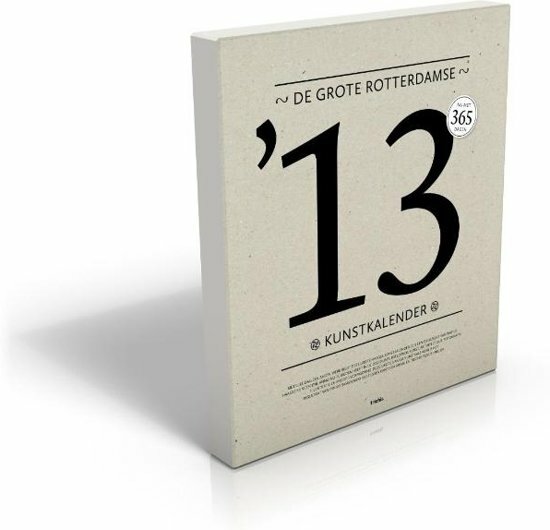 The great Rotterdam art calendar 2013 shows on fair format (29.7 x 34 cm, almost three kilos) every day the work of a contemporary Rotterdam artist. This particular art calendar offers a stage for 365 renowned and up-and-coming Rotterdam artists, designers, graphic designers, fashion designers, photographers and architects. He gives an overview of contemporary in an original way Rotterdam artists and their work. By different size and contemporary content is the calendar a wardrobe staple. Interesting for the art lover, but also for the Rotterdam artist who wants to be surprised by the versatile offer of the local arts.